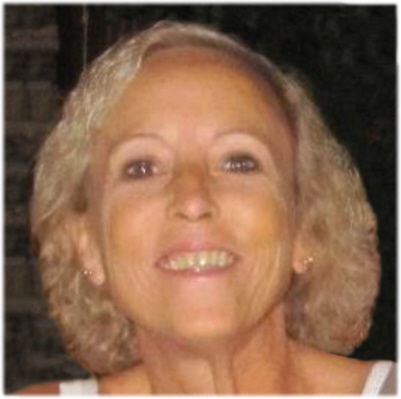 Annette Marie “Ann” Hull, 61, of Ithaca, MI, passed away Sunday, April 7, 2019, at Sparrow Hospital in Lansing. Ann was born in Alma on February 5, 1958, the daughter of Larry and Mary (Donahoe) Gabrion. She graduated from Ithaca High School with the Class of 1976. Ann married Timothy Hull on October 24, 1987 at the Ithaca Presbyterian Church. Ann started her career with the Secretary of State in Lansing, moving on to the Michigan Lottery, and was currently employed at the St. Louis Correctional Facility as a Records Supervisor. She had a combined 41 years of service with the State of Michigan. Ann enjoyed her summers camping at Coldwater Lake with her family. Ann is survived by her husband, Tim Hull, and her children: Chris Hull, Lizzy Hull, and Katie Hull. Also surviving are her mother, Mary Gabrion, brother Patrick (Victoria) Gabrion, sister Rebecca Manderfield, brother Michael (Diane) Gabrion, brother-in-law Rodney (Marcy) Hull, and brother-in-law Brian (Brenda) Hull, and sister-in-law Sandra Hull. She was preceded in death by her father, mother and father-in-law Shirley and Luther Hull, brother-in-law Edward Manderfield, brother-in-law Dennis Hull, nephew Gavin Gabrion, and her cherished companion, dog Molly. Visitation will be held at Smith Family Funeral Homes, Ithaca, MI on Tuesday, April 9 from 6-8 P.M. and Wednesday, April 10 from 2-8 P.M. Funeral Services will take place at Smith Family Funeral Homes, Ithaca, MI on Thursday, April 11, 2019 at 11:00 A.M. with Pastor George Showers officiating. Burial will follow at Ithaca Cemetery, Ithaca, MI. Memorials may be made to the Ithaca Senior Activity Building or the Gratiot County Food Pantry, two organizations that were near to Ann’s heart. Online condolences can be sent to www.smithfamilyfuneralhomes.com. The family is being served by Smith Family Funeral Homes, Ithaca, MI.